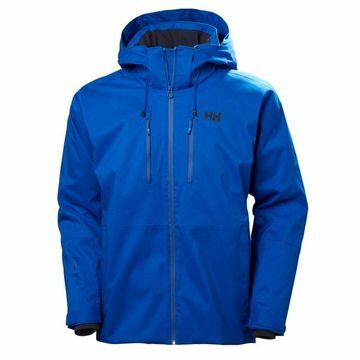 "A best selling crossover between a fully equipped performance ski jacket with a sophisticated city jacket appeal, featuring a structured fully seam sealed Helly Tech fabric and the innovative H2Flow technology. It is build with a Helly Tech Performance structured fabric, the highly innovative H2Flow system turbocharging mechanical venting that keeps you dry, warm or cool depending on the conditions. Primaloft padding and all needed ski features such as zipp off powder skirt, wrist gaitors to keep the wind and snow out to round of a great ski jacket. We have also integrated our innovative Life Pocket for prolonged use of your phone. YKK Vislon water resistant zipper"